Hello, this article will show, how easily you can add ranking functionality to your project. We will accomplish it, with the use of ntile() window function. I will be using Ruby on Rails for my application, with PostgreSQL database. Instead of adding method to Post model, I will just create Query Object called PostWithPopularityQuery, under app/query_objects/, to keep the model slim. You can see constant POPULARITY_RANGES. This will be the number of ‘levels’ of popularity/ranking you want. Let’s say it’s 5. The ntile() window function will then apply value in range 1-5 to each record. In other words, it will divide it in n-tiles. About the public static .call method itself: first, we call method .find_by_sql on model (in this case it’s Post), and we just open quotes and write SQL. 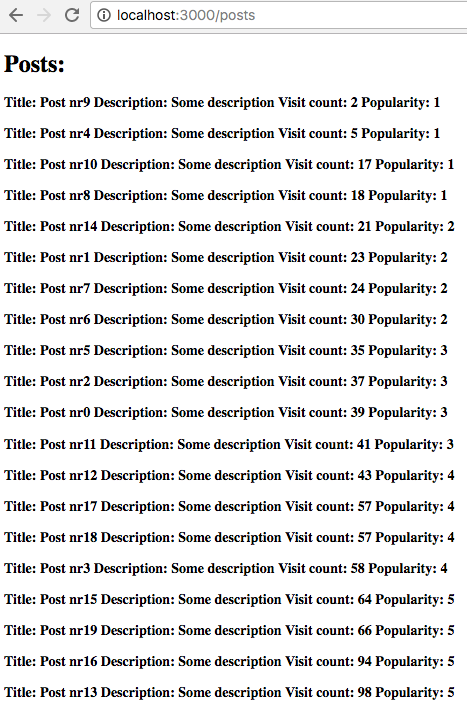 And now, how do we know what popularity value (between 1 and 5) does each Post have? 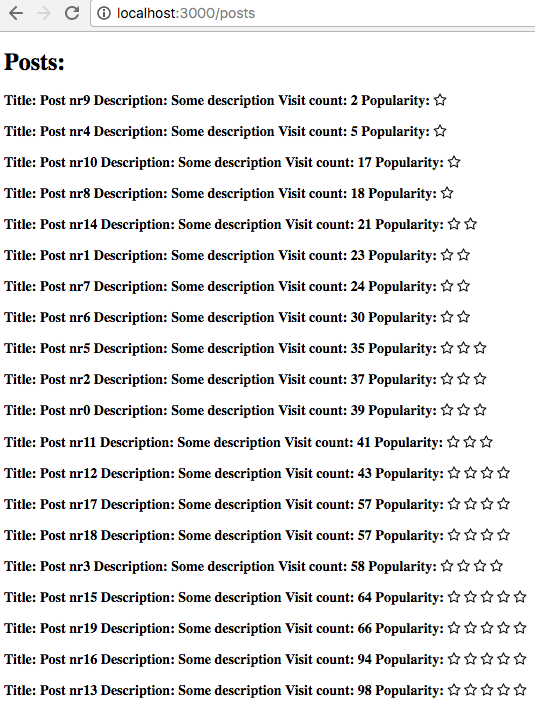 Simply call .popularity on Post instance retrieved by Query Object method. Cons: You tell me. Are there any?